EOS Costa Rica is an initiative of Sistemas Edenia Internacional S.A. (EDENIA), a Costa Rican IT company founded in 1987 as the country’s first BBS service. As the online world progressed towards the internet, the Costa Rican state-owned telecom, ICE, began to provide the country with internet access via its sole ISP Radiografica Costarricense (RACSA). We have since developed a long partnership with Costa Rica’s largest ISP. The company maintains lease contracts of data center space on the 3rd floor of RACSA’s main building in San José with our administrative offices located only 2 blocks from the data center. With decades of experience managing our own server farm, as Costa Rica Servers , we have evolved to serve top tier clients in over 35 countries. After studying and investing early in Dan Larimer’s projects BitShares and Steem, we were convinced to serve the EOS community by offering our hard work, knowledge and resources from Costa Rica to the world. We challenge ourselves to provide the EOS platform with a strong geographical and political diversity by running the most robust EOS Block Producer possible from Costa Rica. We pledge to leverage our talent, experience, and sustainable internet resources to meet such an important challenge. Education: Our philosophy has always been that knowledge and learning is key to what we do. Continuous training and building our human talent is the reason why we are the most competitive alternative for data center services in Costa Rica. Resilience: We are constantly in motion and have a proven history of evolving as technology improves. We value being nimble and efficient with our resources which allows us to quickly adopt and drive new innovations. Liberty: We firmly believe that our history in Costa Rica, the longest lasting free democracy in Central America, shapes our philosophy of life, liberty and property. Tolerance: We work towards the flourishing of our community allowing all its members the right to Education, Entrepreneurship and Opportunity. Prudence: We are committed to safeguarding the future of our community and put that above short term interests. Deep Sense of Responsibility: We firmly believe in taking full responsibility for the consequences of our actions and encourage accountability from our stakeholders. Equality: We will work for and defend a governance model where benefits are distributed according to merit regardless of race, gender, religion or political ideology and for the overall benefit of our community. Provide the highest-standard network infrastructure possible to the EOS ecosystem. Be self-funded and secure the investment needed to ensure a competitive EOS Block Producer. Allocate block rewards to EOS educational and development initiatives. Sponsor projects and dApps for community-led projects and developers. Be transparent and open on the allocation of block rewards. Actively participate in the governance of the blockchain with an open and positive attitude. Our Stable Political Environment, our Geographical Location, and our Access to Clean Energy are our unique contributions to the EOS network. 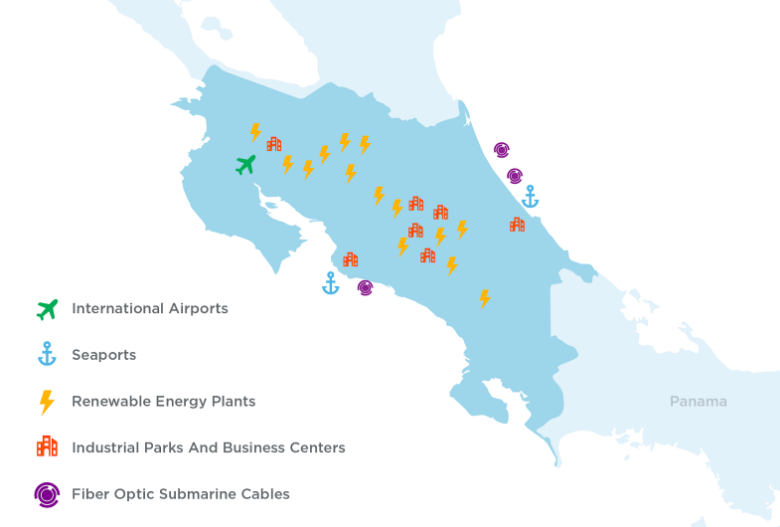 Fiber optic connections reach Costa Rica on both Pacific and Caribbean coasts via three submarine cables that provide the majority of bandwidth to Costa Rica. Access to all three backbones, ARCOS-1, MAYA-1, and Pan American Crossing (PAC) provides real time failover and redundancy at our facility. Additionally all 6 Central American nations are interconnected via a terrestrial fiber optic network (REDCA). Direct connections to all upstream carriers (Columbus Networks, Sprint, Level 3 Communications and XO Communications) insure that no single point of failure is present in the network. The network employs BGP to assure all traffic reaches its destination if one connection fails. Communication to international connections is made fully redundant and supported in two locations, our main building in San Jose and the Teleport in Calle Blancos, approximately 7 kms away. The EOS network will benefit from this infrastructure, which includes private peering network connections to major Internet carriers. These private peering arrangements allow the network to quickly and efficiently exchange packets of data with every major backbone carrier in a one-to-one environment. Additionally, the CRIX network connects most of Costa Rica’s Data Centers with fiber optic cable. We will leverage this infrastructure to further decentralize our EOS cluster platform among several different data center locations across Costa Rica. Costa Rica has excellent infrastructure, a stable political framework, a flexible corporate structure coupled with a clear legal jurisdiction that we believe are perfect for the censorship-resistant network features of the EOS network. Costa Rica stands for peace and liberty, characteristics that are internationally recognized and the cornerstones of the country. Source: World Bank, The Worldwide Governance Indicators, 2016. We are doing our part by reducing our carbon footprint to an absolute minimum. Costa Rica leads the world in achieving carbon neutrality, expected by 2030. Costa Rica is already producing more than 90% of its energy from renewable sources. Costa Rica is committed to investing where it matters most with a public education policy that is free and mandatory since 1870. Costa Rica stands out for its high educational standards and outstanding productivity levels and we intend to replicate those values for the local EOS community. We have reached out to the communities in Panama and Guatemala in order to combine efforts and build the most significant EOS cluster in Central America. We pledge to reinvest our block rewards following the same formula that has made our country a ideal business environment -- invest in a educational system for EOS developers, fund EOS startups that focus on innovation and partner with local Universities to increase research and development in the EOS ecosystem. Currently running Block Producer node in EOS Jungle registered as account “morpho” . Legal Name: Sistemas Edenia Internacional S.A.
EOS Costa Rica has installed an EOS Block Producer node in San José, Costa Rica. We will install redundant redundant infrastructure in a secondary location, Guatuso Data Center, El Guarco de Cartago, Costa Rica, 20km from the primary datacenter. We will subsequently begin to install a third clustered node within Costa Rica in order to provide not just redundancy but extra geographical diversification for the EOS ecosystem. 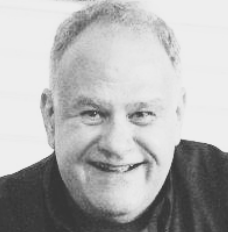 Rodrigo graduated from Tulane University in 1973 with a BS in Mechanical Engineering. He started Computer Programing using Fortran IV in IBM framework during his years at Tulane and fell in love with computers. In 1987 he founded a software development company Sistemas Edenia Internacional. In early 2013, he discovered Bitcoin and was heavily bitten by the "Crypto worm". The company is now running 2 BTC full nodes, DASH nodes, Stellar and Gridcoin nodes. Edenia also ran a Steem witness for over 3 months starting in 2016 and has had a Bitshares account since 2015. 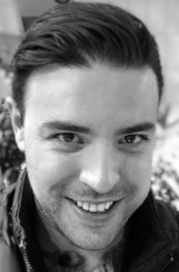 After using BitShares and Steem, Rodrigo gained lots of respect for Dan Larimer as a outstanding software engineer and thus his attraction to Mr Larimer’s latest project EOS. 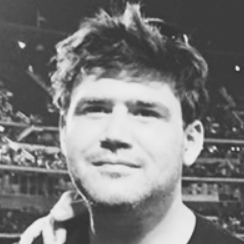 Daniel graduated from Universidad Latina in 2011 with a BS in Electronic Engineering. 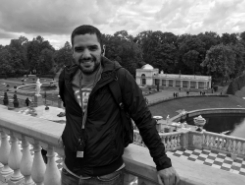 He worked for National Instruments Costa Rica from 2011 to 2017 helping engineers and scientists tackle challenges with LabVIEW, data acquisition and drive the technical close of Radio Frequency sales opportunities. He heard about Bitcoin in early 2016 and began learning about it every single day. He downloaded several wallets and began playing with them and exploring whole ecosystem. In early 2017 he started the Comunidad Bitcoin Meetup, where he delivered monthly talks about Bitcoin, mining, wallets and security.In late 2017, he quit his job at NI to go all-in on crypto, with his main focus to boost cryptocurrency adoption through education. Xavier graduated from the University of Costa Rica with a degree in Business Administration. Xavier has spent over 5 years working as a full stack developer and currently collaborates with all business stakeholders, as well as manages and optimizes hosting platforms to ensure expected availability and performance levels. He leads the developers, manages staging and production environments including data transfer, backup / recovery plans and deploys launch ready web applications. He also contributes to strategic planning, including business plan & tactics development. More recently, Xavier is vital to the implementation of nodes to supporting open and decentralized blockchain networks like EOS. Ronald holds a degree in Computer Science form the university of San Jose, and multiple certifications including Cisco. He is able to resolve issues when a problem is escalated by the NOC Techs. He solves problems that are outside the scope of the NOC, becoming the second line of defense when a problem is spotted. When new infrastructure or design is planned by the team it is Ronald that oversees the plan. Other work includes routine and non-routine maintenance as well as emergency repairs to keep the infrastructure running smoothly. As our main systems administrator, Ronald also provides support for large-scale customer implementations. 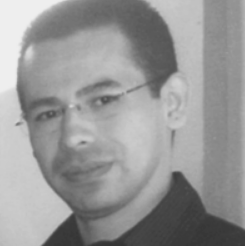 Julio has been with CR Servers for 12 years now and is responsible for managed services, and hardware support. He also works on-site for customer solutions such as administration and basic architecture. 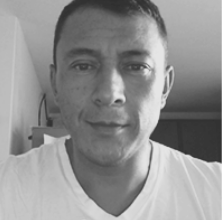 Edgar joined EOS Costa Rica from Bank of America Merrill Lynch where he was a Vice President based in New York. He led coverage of corporate clients in Latin America ex-Brazil and Mexico with a focus on Central America & the Caribbean. Previously, Edgar was a Vice President at Barclays covering institutional investors in Emerging Markets. Edgar holds a B.S. in Commerce from the University of Virginia with a concentration in Finance and Accounting. He is an avid “fintecher” with a special focus on the application of blockchain technology in finance. He has a vested interest in developing the entrepreneurial spirit and driving the use of technology to develop decentralized networks. 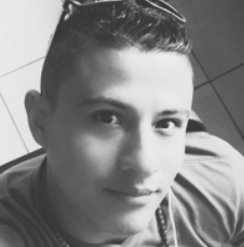 Rodolfo joined EOS Costa Rica as the Director of Marketing in 2015. He is responsible for the marketing, communication and business development efforts. He directs media relations, branding, advertising and website development. He manages and oversees sponsorships, events, charitable contributions, marketing training and more. He has more than 16 years of experience in the digital marketing industry. 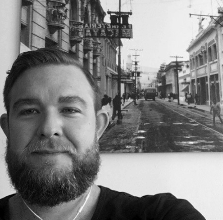 Prior to joining the EOS Costa Rica he was an Art Director of one of the biggest digital agencies in Latin America. Over the last 10 years, Alex developed his entrepreneurial and business skills through a series of ventures, relationships, failures and successes. He is currently responsible for Lean Product Development helping us understand developer needs more intimately and ultimately join the EOS ecosystem. HP DL360 Gen 10 server. We pledge to reinvest our block rewards following the same formula that has made our country a ideal business environment -- invest in a educational system for EOS developers, fund EOS startups that focus on innovation and partner with local educators to increase research and development in the EOS ecosystem. 7) - Block Producer Candidate Roadmap on values, community project timeline, finances, transparency. We reiterate our values available at the beginning of this post that will drive our decision making around financing, transparency and community projects. We are already active in communicating with the community by way of your steemit blog (@eos-costarica) and our twitter handle (@eoscostarica) providing updates and encouraging discourse before funds are allocated and distributed. We also intend to hold block rewards in escrow until the community has demonstrated their support for proposals on our social media outlets. Our goal is to work towards the successful governance of the blockchain and be held accountable by holders, developers and the community in general. We will reinvest 100% of the block reward back into the EOS network, adding value not just for us as block producers , but for the EOS network in the Central American region. Our goal is to attain this healthy balance between internal investment and external investment in the EOS ecosystem. It is important to cover our operating costs , attract and retain the best talent , and maintain a reserve buffer to face any price volatility. We will not be paying dividends or engage in vote buying. We have published our Pledge at the beginning of this post and look forward to community feedback on how we can improve and be held accountable. Thanks! Your support is highly appreciated!